Sandoz Inc., a Novartis division, and Pear Therapeutics, Inc., announced today the US commercial launch of reSET-O(TM) for patients with Opioid Use Disorder (OUD). reSET-O*, cleared by the US Food and Drug Administration (FDA) in December, is immediately available. Pfizer Inc. (NYSE: PFE) announced the initiation of a Phase 2b/3 clinical trial for its oral JAK3 inhibitor, PF-06651600, for the treatment of patients with moderate to severe alopecia areata, a chronic autoimmune skin disease that causes hair loss on the scalp, face, or body, and currently has no approved therapies. Bristol-Myers Squibb Company (NYSE:BMY) and Celgene Corporation (NASDAQ:CELG) today announced that they have entered into a definitive merger agreement under which Bristol-Myers Squibb will acquire Celgene in a cash and stock transaction with an equity value of approximately $74 billion. World Pharma News proudly presents the top 20 most popular breaking news from 2018. 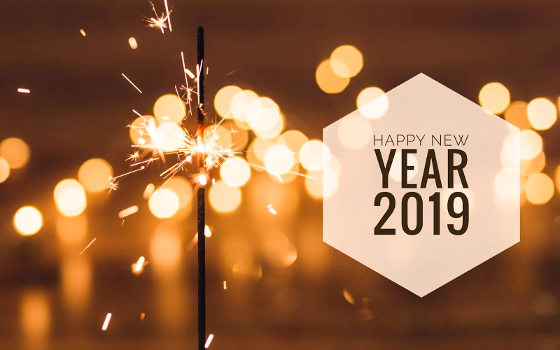 Have a wonderful 2019 New(s) Year filled with health, happiness, and spectacular success! AstraZeneca and Merck & Co., Inc., Kenilworth, N.J., US (Merck: known as MSD outside the US and Canada) announced positive results from the randomised, open-label, controlled, Phase III SOLO-3 trial of Lynparza (olaparib) tablets in 266 patients with relapsed ovarian cancer after two or more lines of treatment.